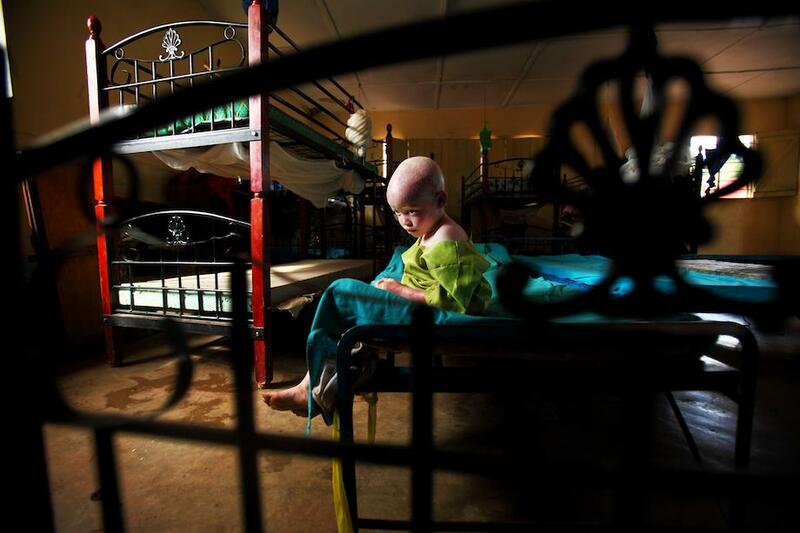 Photographer Liron Shimoni was moved to action when he saw a BBC report about attacks against albinos in Tanzania. 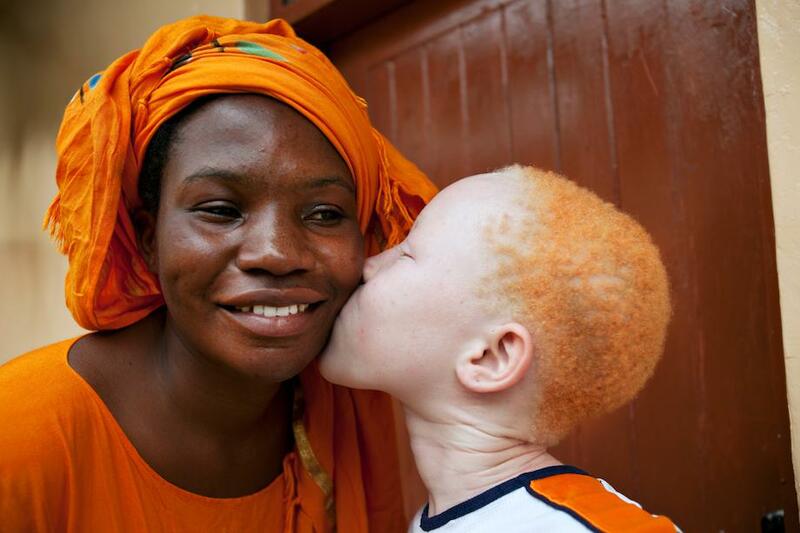 The Associated Press reports that 1 out of every 1,400 people in Tanzania has albinism, compared with 1 in 20,000 people worldwide. 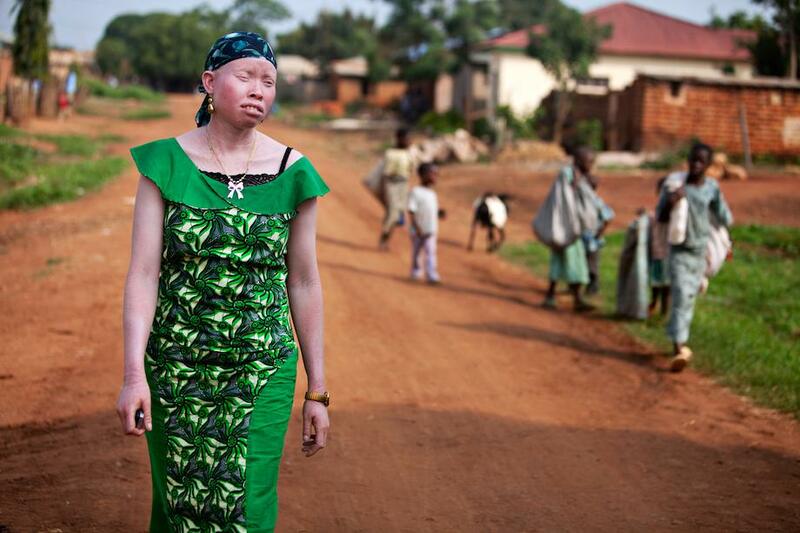 According to one albinism advocacy group, more than 100 people with albinism have been attacked in the country since 2006, and 71 have died as a result. 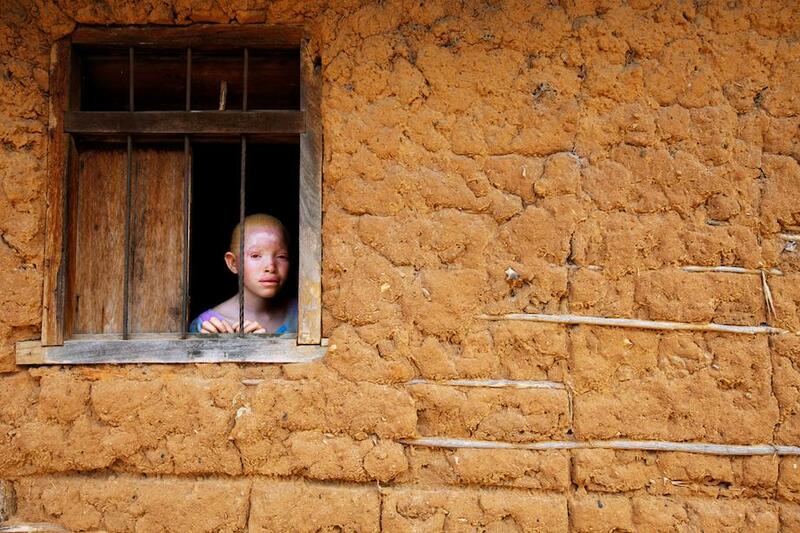 Misinformation about albinos is rampant in Tanzania, and magical beliefs about people who suffer from the genetic condition are often behind these acts of violence. “I was shocked by the fact that these poor people and mainly children are being kidnapped and butchered just because they are different,” Shimoni said via email. Shimoni decided to travel to Tanzania to find out more about the situation and bring attention to it through photography. When he got there, he found that things were even worse than he imagined. 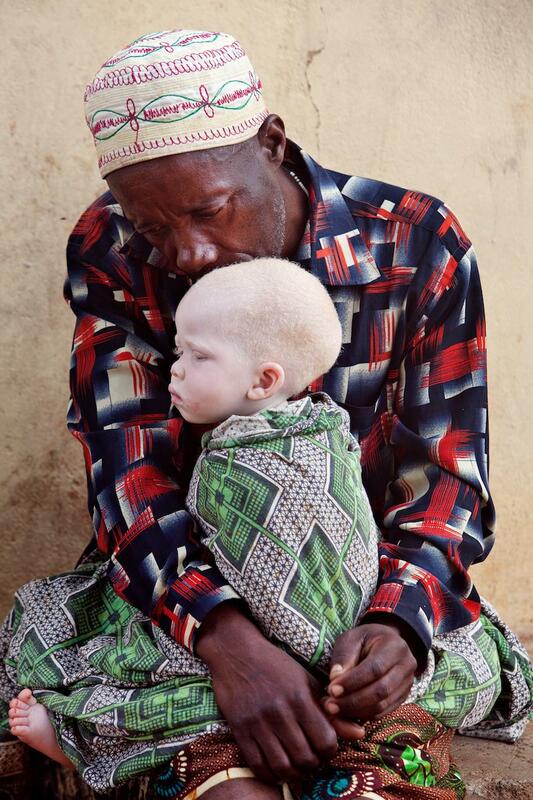 “In the villages, they are viewed as demons or subhuman, and called offensive terms such as ‘zero-zero’ or ‘white meat.’ There is also a widespread belief that getting close to an albino will result in the catching of the disease, or that a pregnant woman who has physical contact with an albino will then birth an albino baby of her own,” Shimoni said. Shimoni said the violence extends even into families with albino members. 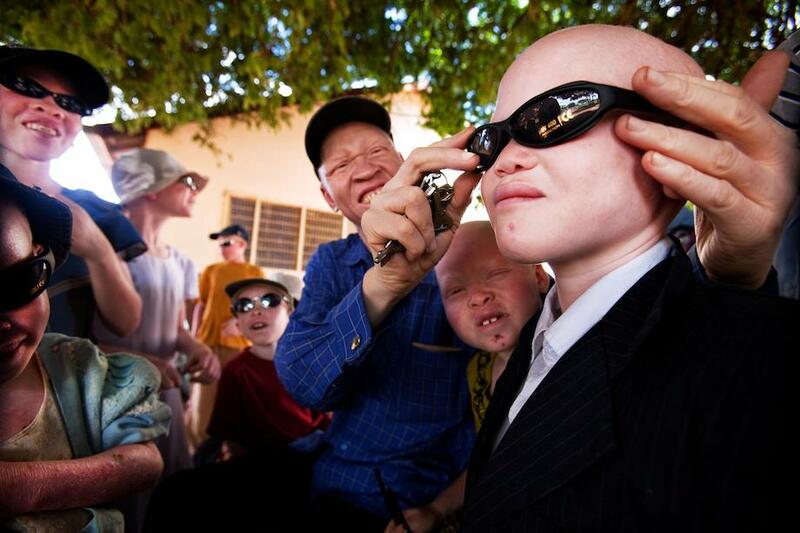 As a result of the dangers they face, Shimoni said thousands of albinos have fled their homes and found refuge in government emergency centers. 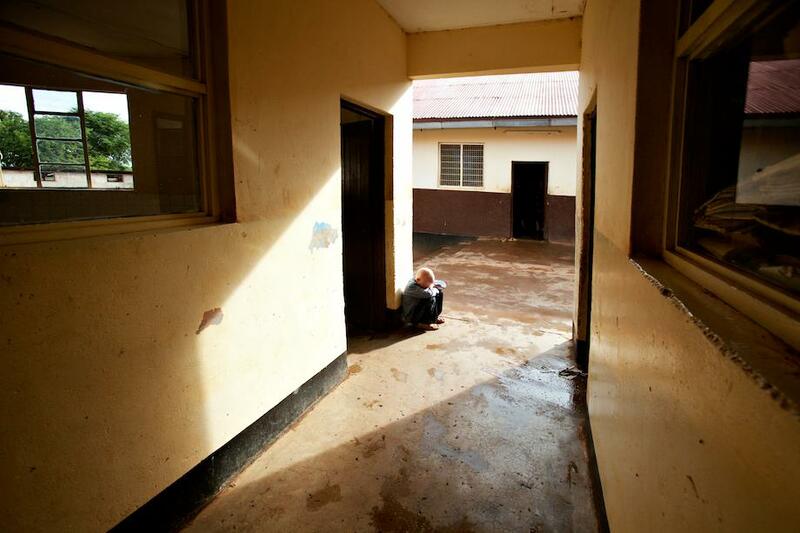 But getting access to these shelters meant dealing with difficult bureaucracy. “Before I got there I had to pay $1,200 just for the permit to take the pictures. In each and every village, I had to present this permit to the police and to the head of the village, who had to formally introduce me to the head of the albino community,” Shimoni said. And then there was the challenge of warming up to his subjects. When Shimoni was reaching out to activists in the country before his trip, many albinism activists weren’t exactly thrilled to participate. Shimoni said they had had experience with photographers and reporters before, who, for the most part, disappeared after they got the photos they needed. 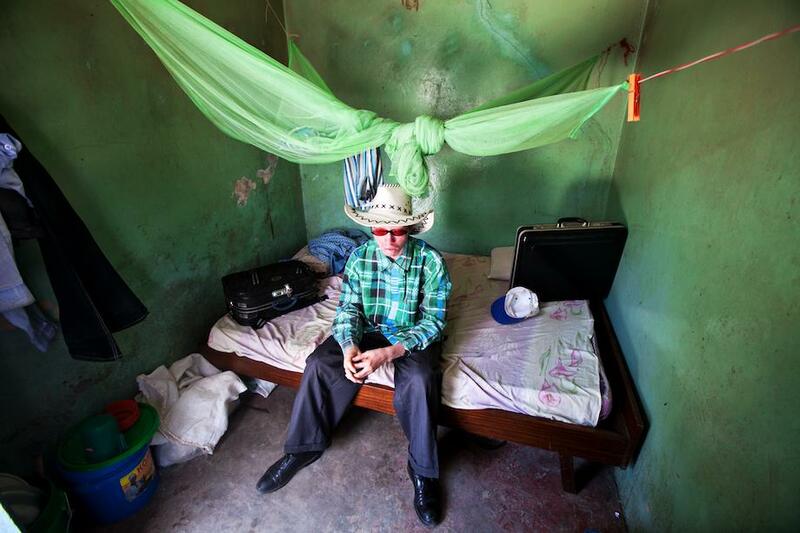 One activist, though, told Shimoni how he could help albinos in his country. “For me, the most important thing is to expose this problem to the world,” Shimoni said.